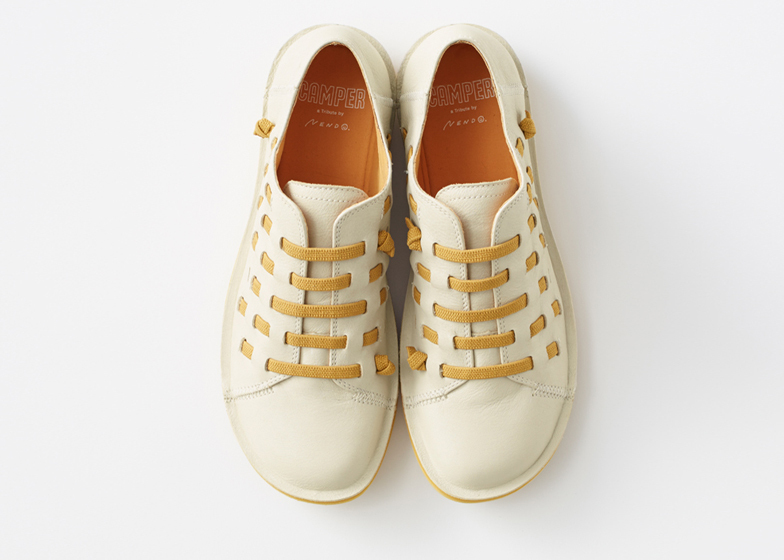 Laces are threaded through the uppers of these shoes by Japanese designers Nendo for Spanish shoe company Camper, creating patterns across the whole surface (+ slideshow). 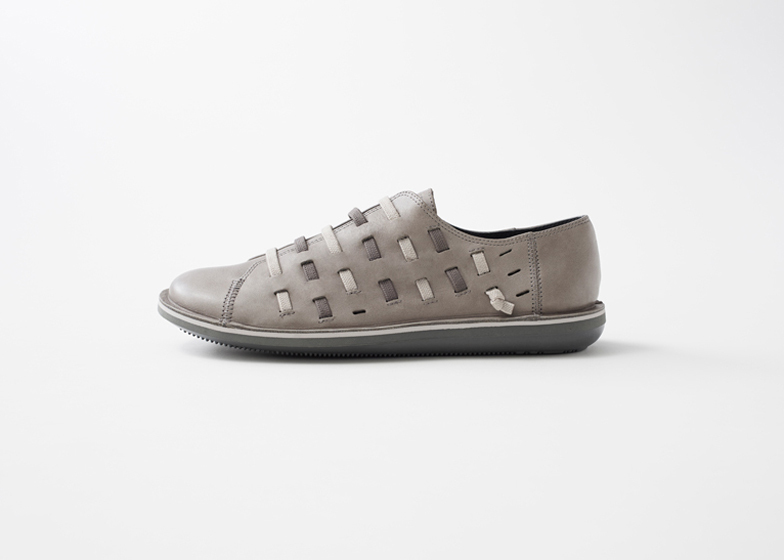 Nendo set out to create a lighter, more water-resistant version of Camper's bestselling Peu Ideal shoe, which features a stretchy lace secured with a knot at each end. 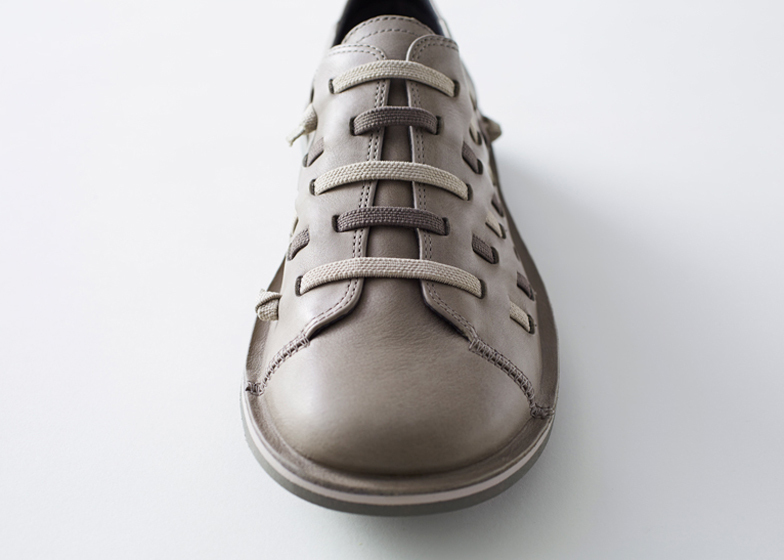 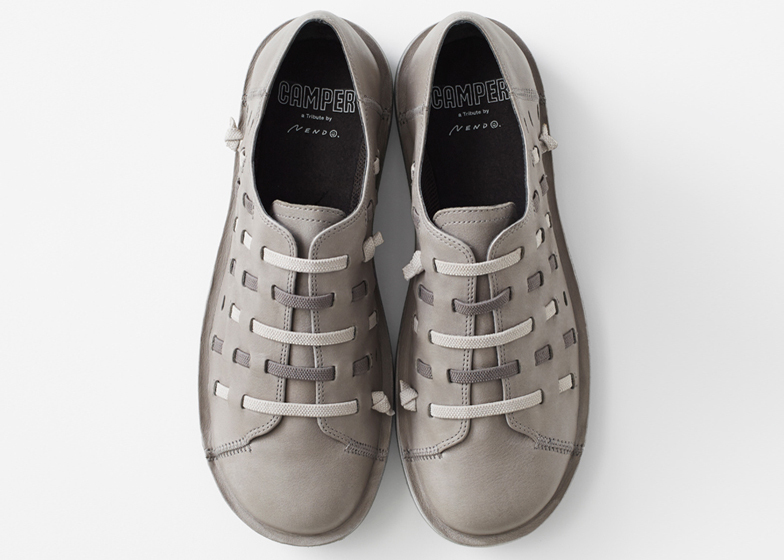 "We lit upon the idea of working with Camper's iconic stretchable shoelaces and knots," explained Nendo. 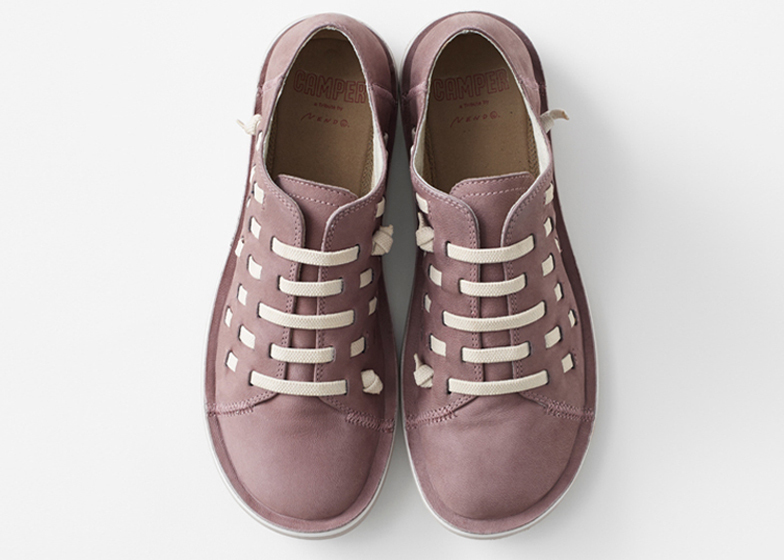 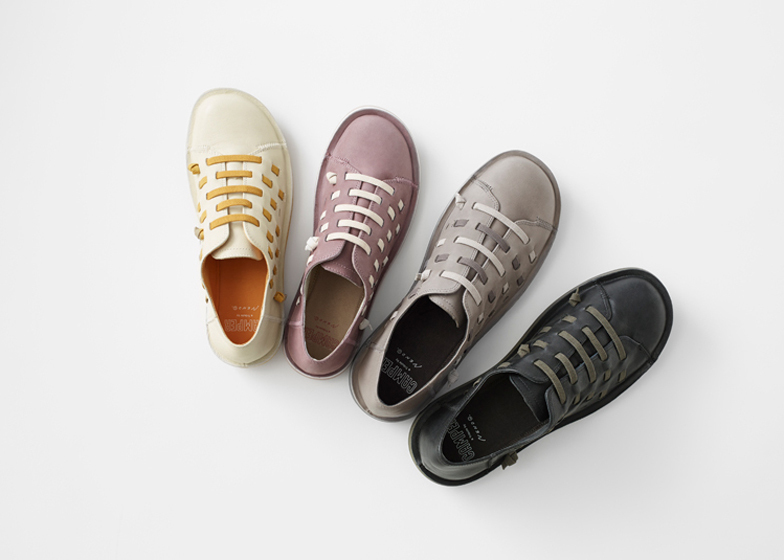 Available in four colours, the Beetle uses elastic laces to perforate the shoe across the entire upper, tied in knots at three points to keep them in place. 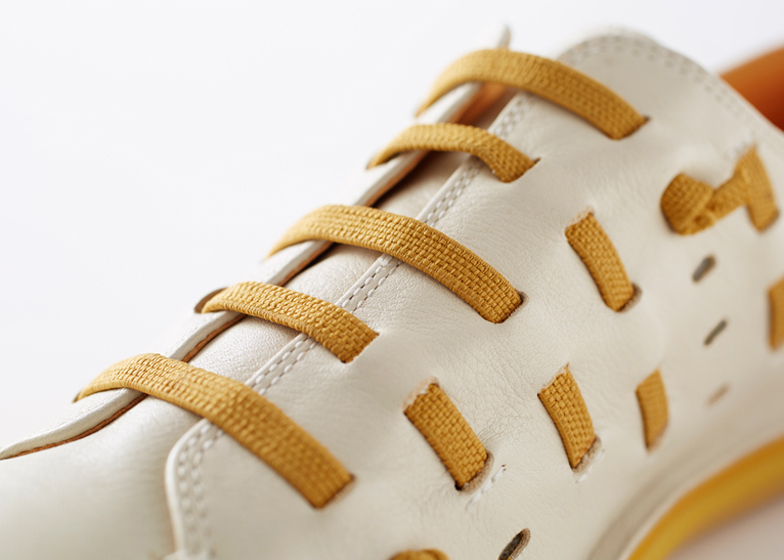 "In our design, shoelaces interlaced across the shoe's upper provide comfort and wearability, at the same time as they take on a starring role, bringing new function and visual style alike," the designers added. 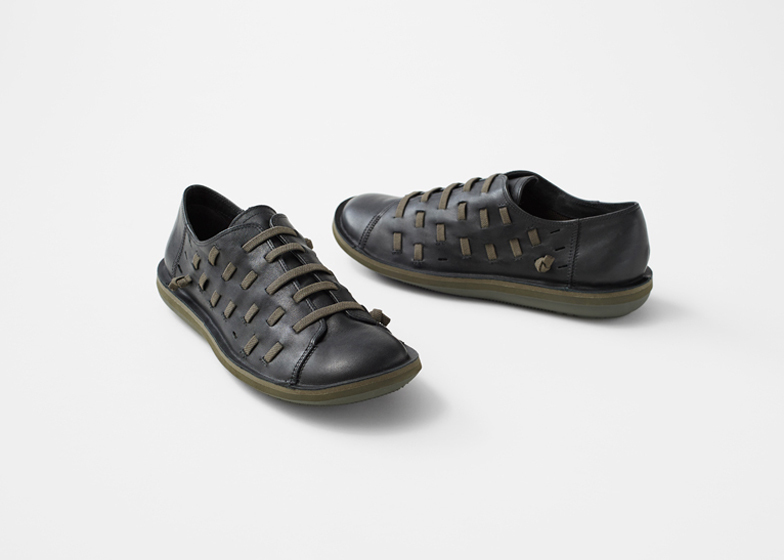 Making the shoes from a combination of nylon and polyurethane, Nendo has added further waterproofing and made the shoe lighter than the original. 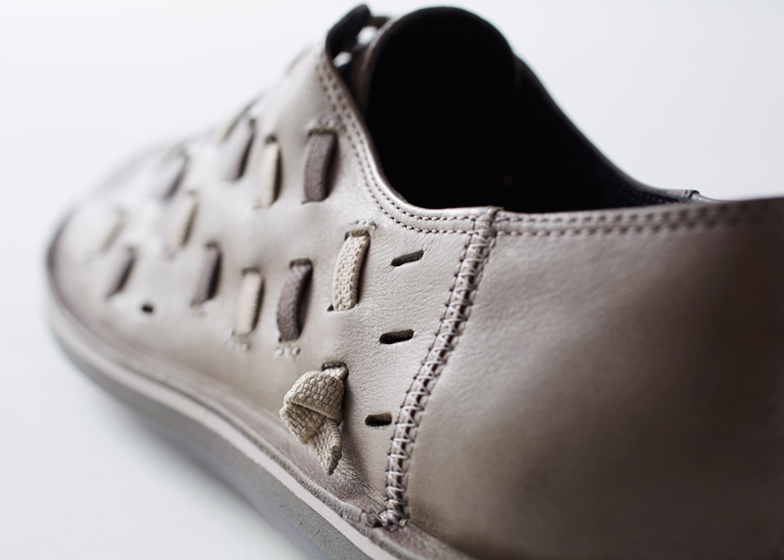 The sole also features thermal insulation and is inscribed with the words "Human Energy". 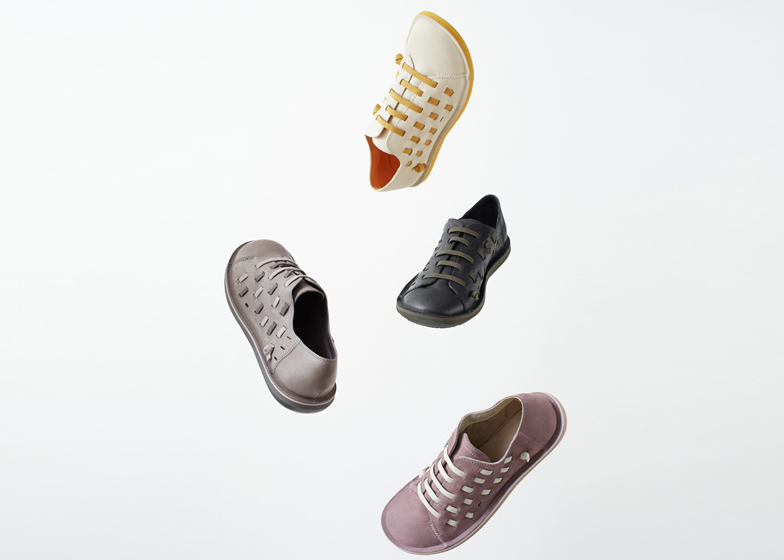 The studio plans to exhibit the shoes in Milan next month during the Salone Internazionale del Mobile, which runs from 8 to 13 April. 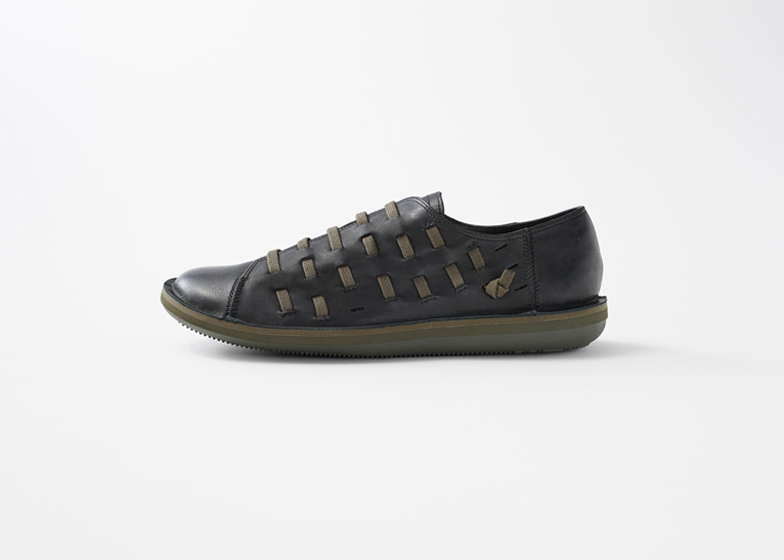 The shoes are also available on Camper's website. 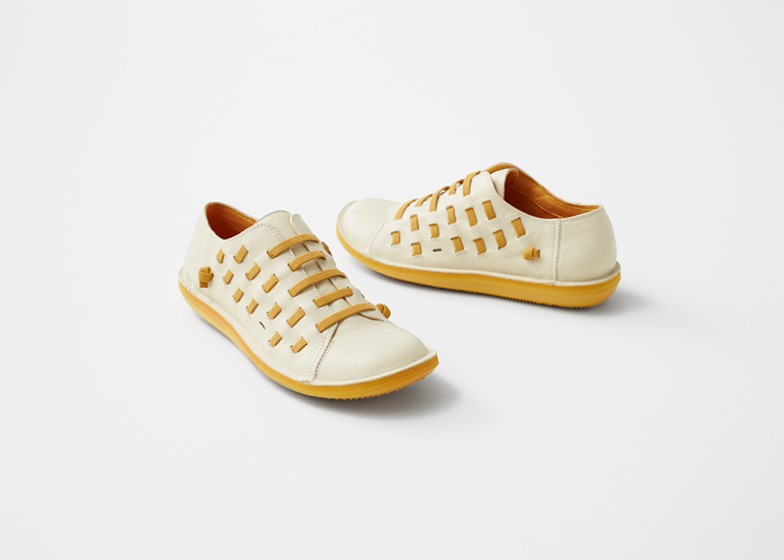 This isn't the first time the two companies have collaborated together: last year Nendo designed the brand's flagship New York store featuring more than a thousand ghostly white shoes protruding from the walls. 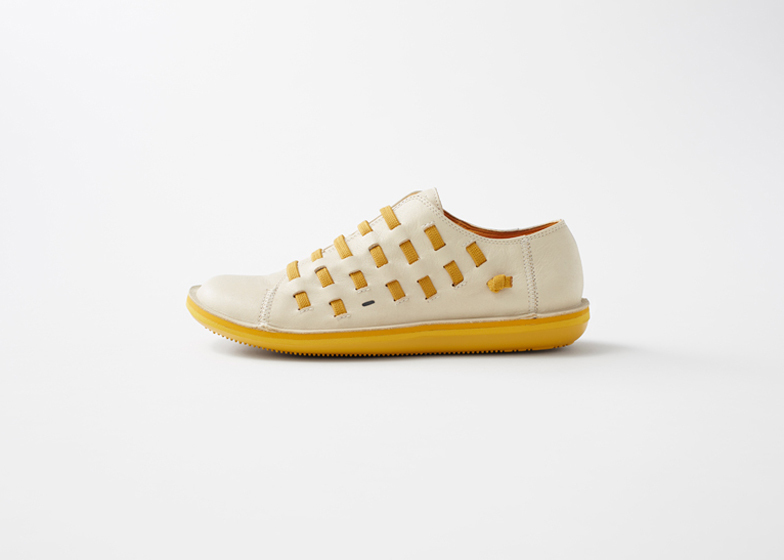 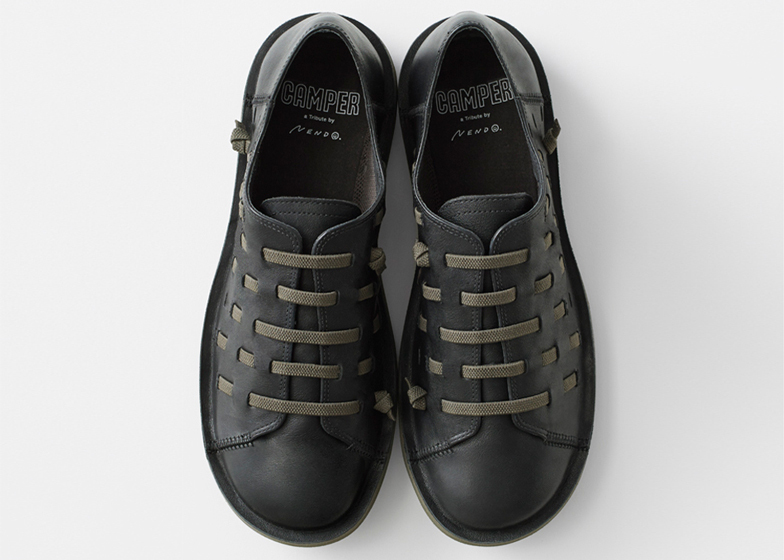 Camper has also worked with a number of other high-profile designers on its shoe line, including Jasper Morrison's version of the Country Trainer and Spanish designer Jaime Hayon's Together shoes that were inspired by English bespoke footwear.